This week saw the battle of the Web 2.0 conferences, with 70 entrepreneurs presenting their ideas at Demo Fall 2008 in San Diego and 50 more making their pitch at TechCrunch50 in San Francisco. Some of the ideas are little more than a glimmer in a coder's eye, but others are already doing business, are in private beta, or are soon to launch. Here's a selection of our favorites. Usable's approach to password management puts a minimal burden on the user's memory. Is the password for my bank Ra&18eR or rA#19eR? I can't remember and neither could most people, especially if they regularly access 20 or more online accounts. Usable aims to solve the problem by letting you use a simple word like "raider" to log in anywhere. The service (which is supposed to go live early next year) works like this: You visit your bank's Web site, but instead of encountering the usual sign-in boxes, you are greeted with an image like the one above. Usable remembers your user name, and you type in your simple password. Usable uses code on your PC and on their servers to slice and dice that simple word into a highly complex and secure password. Anybody who has a melodic or rhythmic line or an urge to mix can be with the band, thanks to MixMatchMagic. Traditionally, bands have been some variation of four guys from Liverpool--friends who start playing music together and decide to get serious. But what if you live in Livermore instead of Liverpool and you can't find three other musicians who are interested in playing the kind of music you like? 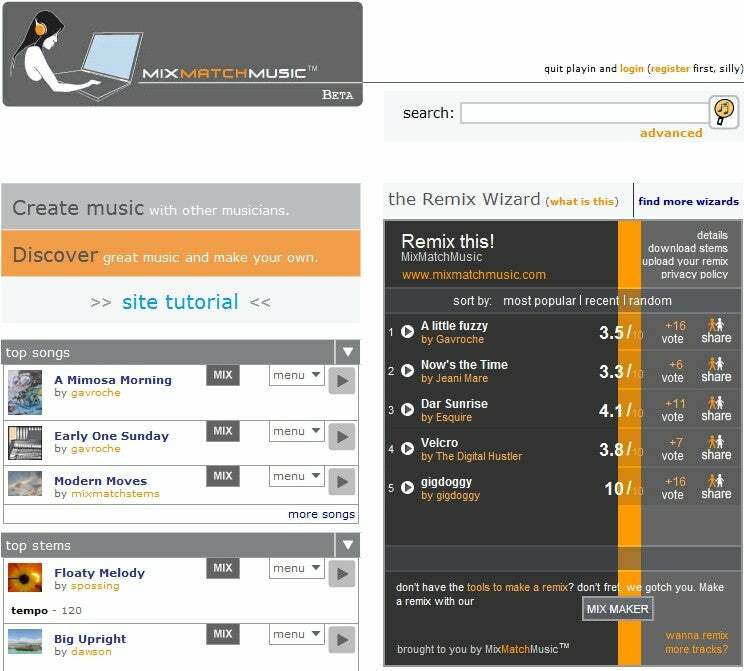 MixMatchMusic should help. Individual musicians upload their favorite bass lines or drum patterns. Then other musicians looking for good accompaniments to their new guitar lick can browse through the offerings and mix the individual components together to form a full song. If other people like the tune enough to download it, all of the artists involved get paid automatically. 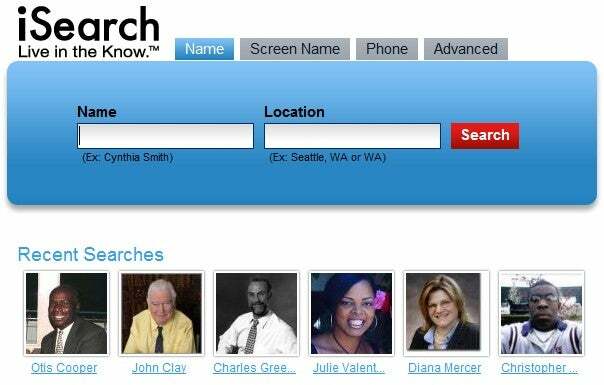 Whether you lost touch by accident or on purpose, iSearch promises to bring you and old friends back together. Whenever a company pitches a new search engine designed to find people, I test it by searching for a guy with whom I shared a cockroach-infested apartment in Boston. iSearch is the first engine to pass my test. The site conglomerates information from public records, social networks, white pages, news, and professional connections. I can't wait to reconnect with my old friend. I just hope he's forgotten about that $200 I owe him. Economy of scale: If a workable budget is your own private Mount Everest, maybe GreenSherpa is the guide you need. Lots of financial services are good at telling you what you've spent in the past and how much money you have right now. But few online systems so far have attempted to tell you how much you'll have next week or next month, especially if you decide to buy a new iPod after all. Making contingent cash-flow projections is tough, but GreenSherpa's system (due to reach private beta next week) seems as though it could work. It lets you account for regular bills, but it also simplifies the task of entering one-time expenses or factoring in a bonus check you're expecting. 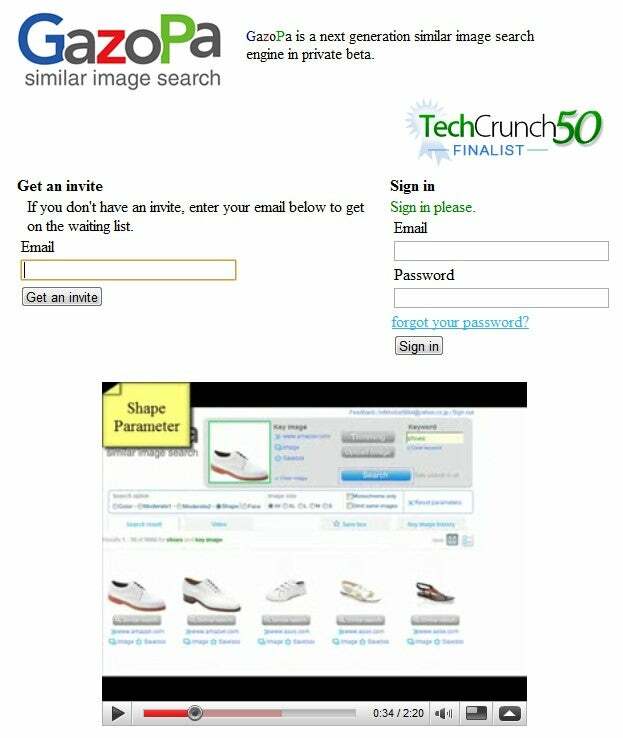 GazoPa's premise is that image-based image searches make more sense than word-based image searches. Using keywords to search for documents makes sense because documents are made up of words. But using words to search for images doesn't work as well. Unless someone used the same keywords to label their image that you use to hunt for it, you have no chance of finding it. GazoPa, a not-yet-live search engine from Hitachi, aims to let people use colors or shapes as guides in searching for images. Have a canvas bag whose design you like, but you wish that it came in leather? You can use GazoPa to search for bags with similar designs from other manufacturers. How much wood would a wood duck duck? Birdpost invites you to record your encounters with feathered friends year-round. You've heard of citizen journalism, in which average joes report on news that's important to them. 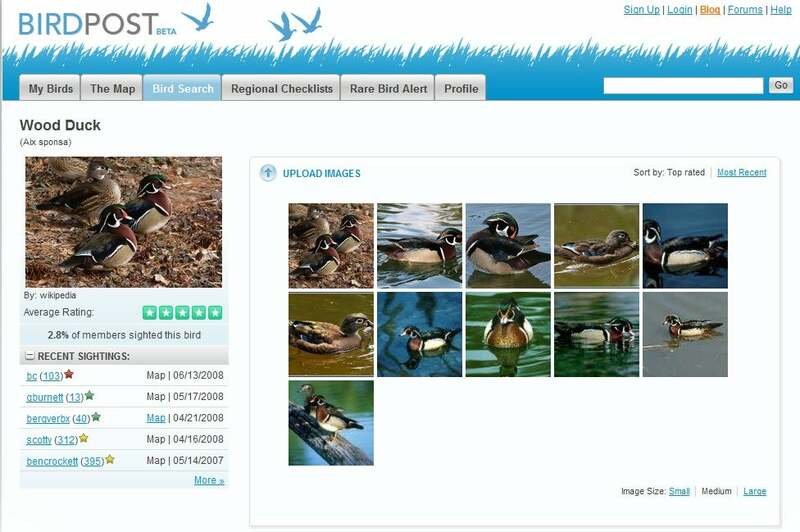 Well, Birdpost hopes to be one of the leaders of a citizen science movement. Avid birdwatchers can join the site and post their latest sighting of a Phainopepla (aka Silky Flycatcher). Other birders or even novices can search for types of birds and in some cases can get a Google map that shows the species' range.